These terms and conditions of service set out the terms and conditions between the customer and Streaming Wizard Ltd, The Coach House, 26 Kenilworth Road, Leamington Spa, CV32 6JB. Company registration No. 4523931. The service, services or product means the electronic transmission of information, graphics, sound and any other form of information transfer through the Streaming Wizard Ltd servers and lines of telecommunication. All terms and conditions apply to the sale of internet services, internet servers, hosting of internet servers, space on internet servers, hosting of virtual internet servers, website, domain names, electronic transfer of information, design, construction and work involved in the production of such and any other services and products supplied to and purchased by the customer from Streaming Wizard Ltd.
No terms, conditions or reservations stipulated by the customer and no course of dealing shall annul, vary or add to any of these conditions except if expressly consented to and agreed to in writing by Streaming Wizard Ltd.
1. Streaming Wizard Ltd accepts the customer’s acknowledgement of these terms and conditions, breach of any of which may result in termination and or suspension of the customer’s right to use the service. 2. All services supplied must be paid for in full prior to the provision of any service unless agreed in writing with Streaming Wizard Ltd. The price being quoted, as the list price of Streaming Wizard Ltd agreed on at the time of contract or order with the customer. 3. All prices quoted verbally or in writing (prices being the Streaming Wizard Ltd list price at exchange of contracts) for provision of service are excluding VAT at the standard and are subject to change without notice. 4. Alterations to the standard price of service supplied will only be accepted by Streaming Wizard Ltd, when given in writing on a Streaming Wizard Ltd authorised order form signed by an agent or employee of Streaming Wizard Ltd.
5. An order which has been accepted by Streaming Wizard Ltd and signed by the customer or his/her representative may be cancelled by the customer within 14 working days of signing the order; on the terms that the customer will indemnify Streaming Wizard Ltd in full against any loss, costs (including the cost of goods ordered for the customer by Streaming Wizard Ltd on behalf of the customer for the supply of service ordered), damages, charges and expenses incurred by Streaming Wizard Ltd as a result of cancellation. 6. The customer shall pay the price for service, services or the product. For monthly contracts, regular payments are due a month in advance and shall be paid by the customer by the due date as specified on Streaming Wizard Ltd’s invoice. Payment shall only be deemed received by Streaming Wizard Ltd upon receipt of cleared funds. Streaming Wizard Ltd reserves the right to suspend the service, services or delivery of product until such time as full payment has been made. Non-payment of an overdue account may result in the suspension of all services and credit facilities indefinitely. Streaming Wizard Ltd understands and will exercise its statutory right to interest under the Late Payment of Commercial Debts (Interest) Act 1998 if not paid according to agreed terms. Streaming Wizard Ltd reserves the right to exercise a lien over the client’s content in respect of any unpaid fees and shall be entitled to sell the content after the expiry of thirty (30) days from the termination date in order to recoup any unpaid fees. Streaming Wizard Ltd reserves the right to send overdue accounts to a collection agency. 7. The price for the service of hosting and storage covers permitted bandwidth as stated on the contract. If the customer exceeds this limit then Streaming Wizard Ltd reserves the right to make additional charges for the usage above the limit at its then prevailing charge rate. Streaming Wizard Ltd will endeavour to let the customer know if its bandwidth use exceeds the agreed level. 8. All services and goods supplied by Streaming Wizard Ltd including domain names which may be registered in the actual name of a third party remain the property of Streaming Wizard Ltd until full and final payment has been made to Streaming Wizard Ltd by the customer. Where the Service originates from Streaming Wizard Ltd and is delivered to the customer, the Service will be available for not less than 99.99% of each calendar month. Availability will be calculated and reported in accordance with the rules set out below. If in any calendar month Streaming Wizard Ltd does not meet this standard of availability, we will compensate the customer. The amount of compensation will be determined in accordance with the rules set out below. Streaming Wizard Ltd will provide this compensation by making further services or discounts available to you up to the amount of compensation at the applicable rate. This compensation will be the limit of our liability for the non-availability of the Service. All work for the purpose of maintenance or support 'planned outages' will take place outside business hours. Planned outages will be notified to you wherever possible on 5 days prior notice unless otherwise agreed. Streaming Wizard Ltd shall wherever possible ensure that there are no more than 2 planned outages each month. "A": means the Availability of the Service (expressed as a percentage). "D": means Downtime in the respective month - (expressed in minutes). "T": means the Total Number of Service Minutes in the respective month. Downtime is calculated from the time of notification of a fault by either the customer or Streaming Wizard Ltd, and ends when the Service is restored to full working order as determined and certified by us. However, downtime is to be disregarded to the extent it is attributable to customer failing to keep equipment in standard office environment levels of humidity and temperature, or to any other abuse, misuse or modification of equipment or software by the customer. "Availability" means the availability of Streaming Wizard Ltd network demonstrated by means of either a ping or traceroute program. "Business Hours" means 09.00 a.m. to 5.30 p.m. on a day other than a Saturday, Sunday, bank or other public holiday in England and Wales. "Downtime" means in respect of any month the total time during which the Service is not available (other than as a result of planned Outages). "Outage" means any period during which any user cannot process an application transaction utilizing the Service. "Planned Outage,” means any period during which any user cannot process an application transaction utilizing the Service caused by work for the purpose of maintenance or support. "Service Minutes" means minutes of connectivity to Streaming Wizard Ltd.
Streaming Wizard Ltd’s ‘Use of Service’ is intended to help protect the Streaming Wizard network, Streaming Wizard’s customers and the internet community in general from irresponsible or, in some cases, illegal activities. 1. Under no circumstances will the storage and transmission of pornographic materials in any form whatsoever be allowed through or on Streaming Wizard Ltd’s servers and data transmission cables. The term pornographic materials, is purely at the discretion of the Directors of Streaming Wizard Ltd. Their decision in such matters is full and final. 2. The customer accepts sole liability for any material including but not restricted to, data, graphic, photographic, and video supplied to Streaming Wizard Ltd, which is subject to copyright or is judged to be of an unlawful nature or is judged to be in violation of UK or international law or regulation. 3. The customer acknowledges that the service may only be used for lawful purposes. Any information including but not restricted to, graphic, image, photograph, text in violation of any UK law or regulation including but not restricted to material which is obscene, indecent, judged to be unlawful in the UK and or abroad, threatening, damaging (to include transfer of computer virus), copyright, trade secret, is prohibited whether or not the customer was aware of the content, material and or the laws pertaining to the material. 4. The purpose of the services provided to you the customer by Streaming Wizard Ltd are for the storage and transmission of standard web streaming, this means that the space provided on Streaming Wizard Ltd Internet network must not be used as an FTP area for non streaming content. 5. Streaming Wizard Ltd reserves the right to limit the transfer of data if necessary for any reason. The customer acknowledges their obligation to inform Streaming Wizard Ltd of the exact nature of files by size, type, content and understand that a surcharge may be levied for the additional bandwidth required to accommodate the traffic. The customer has the right under these conditions to terminate the service contract and an appropriate refund will be made which will be a percentage of the initial invoice minus admin charges. 6. The customer acknowledges that they shall be solely responsible for any violation of UK or International law with regard to the remote loading of information of any kind onto Streaming Wizard Ltd servers/computers, to view or download, or by a third party. 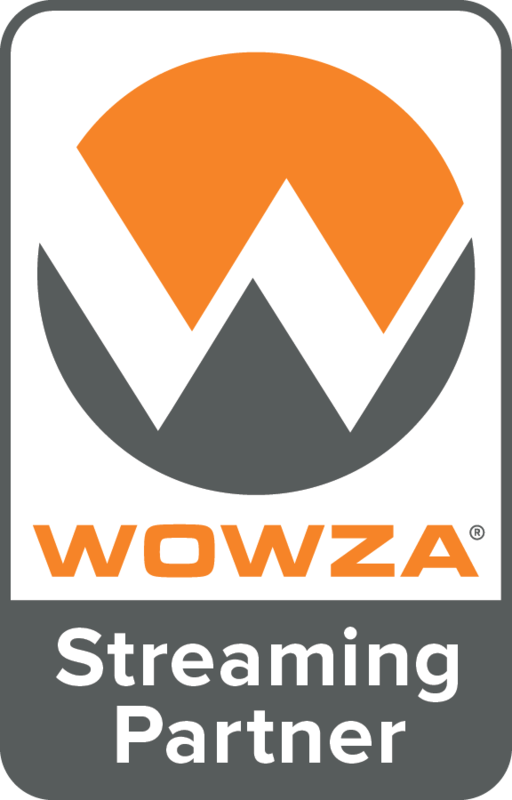 Streaming Wizard Ltd will retain the right to suspend and or terminate any remote service which they deem to be in breach of the Data Protection Act 1998 (UK), UK or International law or is of a nature which may be damaging, threatening or judged to include but not restricted to material which is obscene, indecent, libellous, subject to copyright whether or not the customer was aware of the content or the laws or regulations pertaining to it both in the UK and Internationally. 7. The customer acknowledges sole liability with regard to any claim by third parties alleging any infringement of rights of any kind due to transmission of any information to view by the customer and shall include any infringement of rights under UK and International law and or regulation and as such agree to pay to Streaming Wizard Ltd any costs incurred in the defence of any action brought against them by a third party arising from such claims. 8. Knowledge of the Internet - The Customer agrees to obtain a basic knowledge of the Internet and its operating principles and procedures. 9. Improper Uses - The Customer will avoid violation of certain generally accepted guidelines on Internet usage such as restrictions on mass mailings, mass advertisements, pirating or copying of software, mail bombing, deliberate transmission of computer viruses or other methods of attempting to deny service or access to other users, and attempts to violate security. 10. Security - The Customer is required to protect the security of its Internet account and usage. The Customer's security policies and procedures, their implementation and their connection to the Internet are the Customer's responsibility. The Customer will treat its password as private and confidential and will not disclose or share it with any third parties. Any packet filtering services provided by Streaming Wizard Ltd provide a base level of protection and cannot be considered to render comprehensive security of any kind. The customer is responsible for securing its own enterprise network via its own security policies and procedures. 1. Connection - Streaming Wizard Ltd provides the Customer with a connection to the Internet through its equipment and facilities. Information, which passes to or from the Customer over the Internet passes through equipment and facilities which Streaming Wizard Ltd does not own and has no control over. Streaming Wizard Ltd does not provide, exchange or monitor data or information on the Internet. Streaming Wizard Ltd does not make judgments with regard to appropriateness of material for transmission, or guarantee the nature, content, truth, accuracy or reliability of such material. 2. Security - Streaming Wizard Ltd does not warrant or guarantee the security or confidentiality of any such information or data. 3. Opinions - Streaming Wizard Ltd takes no opinion and expresses no views on the nature or content of any such information or data. Any liability arising from, including but not restricted to damages caused or allegedly caused by any failure to provide the agreed service, error, omission, interruption of service and or delay of transmission of service, loss of electronically stored information due to, theft, fire, destruction, or by means of unauthorised access to electronic information stored on Streaming Wizard Ltd's equipment or third party providers utilised by Streaming Wizard Ltd, shall be restricted to a maximum of the amount paid by the customer for the service/s provided by Streaming Wizard Ltd or agent of Streaming Wizard Ltd minus administration costs. Breaching of these terms and conditions in any form will allow the Directors of Streaming Wizard Ltd to terminate the contract between you the customer and the company trading as Streaming Wizard Ltd, monies outstanding or owed to either parties will be decided by the Directors of Streaming Wizard Ltd and their decision in such matters will be full and final. Use of Streaming Wizard Ltd services and goods including domain names constitutes acceptance of these terms and conditions. All services provided are stipulated with each invoice, if any additions advertised or inferred by Streaming Wizard Ltd or an agent of Streaming Wizard Ltd do not appear in writing on this invoice then Streaming Wizard Ltd must be informed in writing by you the customer within 14 days. Cancellation of services and contracts must be given in writing 28 days before service is due for renewal. If cancellation is not received in writing within 28 days of renewal then the customer will be liable for the full renewal fee and any administrative charges incurred in closing the account. Copyright © 2002-2019 Streaming Wizard Limited. All Rights Reserved.